The week’s priciest maiden winner came at Penn National on March 21. That’s when Julia Mae’s Legacy graduated in maiden special weight company after never having run better than fourth in three prior starts. The Donald Demeza trainee was ridden by William Otero and returned $56.80 to win. Trainers Jeff Runco and Ronney Brown dominated the Charles Town maiden ranks last week. Runco won three maiden special weight tests, teaming up with three different riders — Arnaldo Bocachica, Keimar Trotman, and Gerald Almodovar — in the process. Meanwhile, Brown struck twice, both times in $12,500 maiden claiming company. 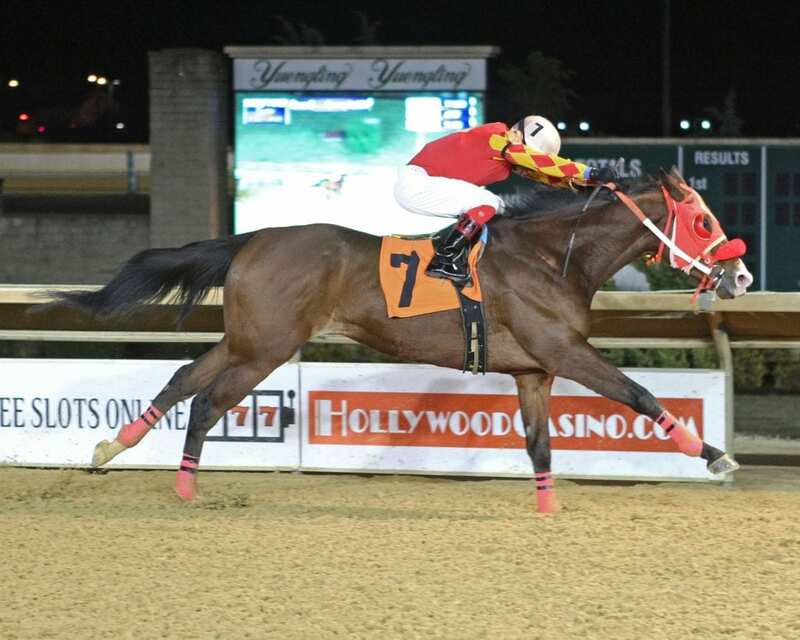 Dropped into claiming company for the first time March 21, three-year-old Sunset Girl, a West Virginia-bred daughter of Swiss Yodeler, ripped off a nearly-five-length win while navigating 4 1/2 furlongs in 54.60 seconds with Christian Hiraldo up. It was her first win in six career starts and pushed her earnings to $19,443. She was bred and is owned and trained by Brown. The following day, Brown struck again, this time with Strong Ties, making her fourth career start. The sophomore Fed Biz filly cruised to a two-length win under Kelvin Morales, getting the 4 1/2 furlongs in 54.42 over a sloppy, sealed track. Owned by Mark Becraft, who paid $5,000 for her at last May’s Fasig-Tipton Midlantic two-year-old sale in Timonium, she has a win from four starts and earnings of $10,538. One of the week’s biggest upsets at Laurel Park took place March 24, when Ten Oaks Miss graduated in maiden special weight company, returning $28.20 on a two-dollar win bet. Ten Oaks Miss, a three-year-old Tritap filly, is a Lewis family homebred, bred in Maryland by Dr. Frederick Lewis, Jr. and owned by the Lewis Family Racing Stable. Trained by Carlos Mancilla, she had raced three times prior to her weekend score, having finished eighth and ninth in her first two tries before running second — albeit a well-beaten second — at the same level. On Sunday, with Kevin Gomez up, she stalked the early pace, challenged for the lead in upper stretch, and prevailed by a head following a long stretch duel. The win pushed her career earnings to $43,760.